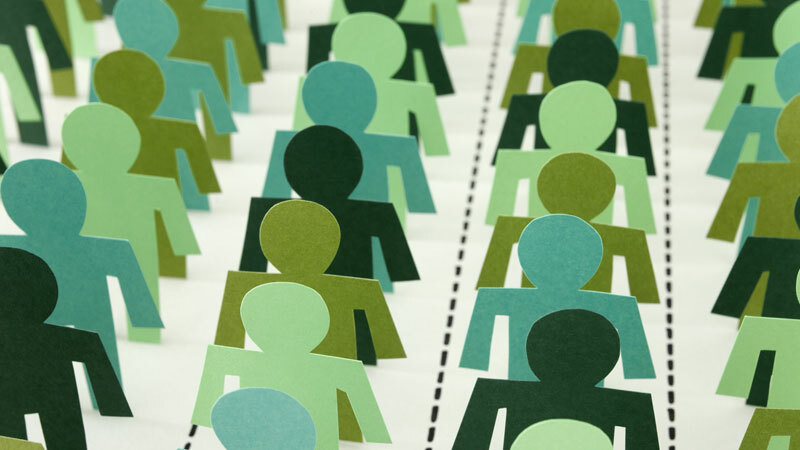 Before you do anything else, determine who your target audience is. What are their needs? How will you capture their attention and provide them with valuable content? Answers to these questions will establish the foundation of your content marketing strategy and help guide you when planning your social media strategy. The American Express Open Forum is an excellent example (albeit one that is frequently referenced) of a brand that does this effectively. The site is geared towards business owners and entrepreneurial-minded individuals and features free ideas, valuable information, high-quality content and expert answers to questions from “real people” – all without constant sales pitches. What Story Will You Tell? Make It a Good One! Unlike traditional marketing practices – which I equate to standing on a street corner with a megaphone and shouting about how awesome your brand is– content marketing is all about telling your brand story. It’s not about meeting your own self-interest, selling products or publishing content for its own sake. All things considered, it’s no wonder why content marketing and social media go hand in hand. People use social networks to socialize, catch up with friends and engage with other users who have similar interests. They don’t want to be sold to or shouted at by faceless brands invading their space and clogging up their social feeds. Instead, focus on creating high-quality, sharable content that is devoid of sales pitches and product pushes. “Dumb Ways to Die,” one of Australia’s most successful public service campaigns aimed at promoting rail safety, is a prime example of this. They took an otherwise boring topic and turned it into a humorous, shockingly morbid three minute video and catchy song that tells a story about the silly ways you could die. Since the PSA was uploaded to YouTube, the three-minute video has garnered over 93 million views. Not to mention that the ad has been credited with reducing rail-related accidents by 21%. #GoTeam! Rather than creating a stand-alone strategy, social media should be a component of your overall content marketing plan. While content marketing can exist without social media, social media cannot exist without content marketing. Think about it: what’s the point of a brand accruing tons of social media followers if they don’t have great content to share with them? Instead, think of social media as a tool (a really big one) for distributing content that is ultimately dependent on your content marketing strategy. Look to Club Carlson’s Global Travelers campaign to see an example of a brand that has done this well. Club Carlson selected three travel bloggers, gave them a selected amount of Gold Points and tasked them with blogging about their travels across Europe, Asia or the Americas (using only Club Carlson Gold Points, no less!). Followers were encouraged to show support for their favorite blogger by tweeting, liking their updates on Facebook, or watching their videos. 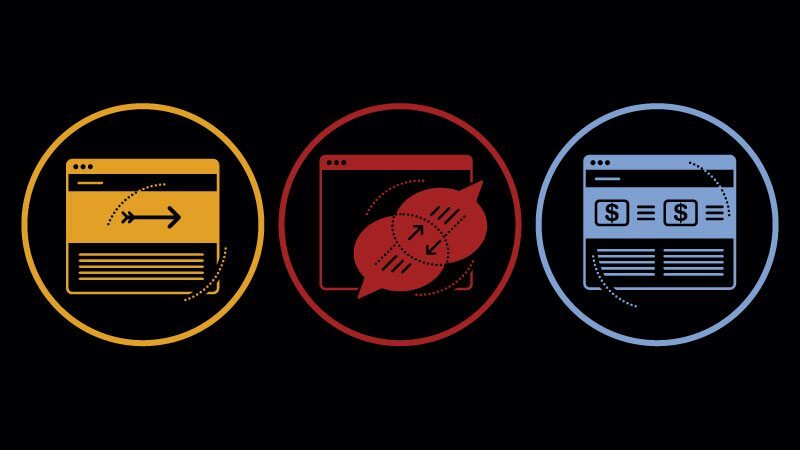 For every social media action taken by a fan or follower, the blogger accrued additional social credits (points), which would ultimately be the deciding factor of which blogger would come out on top. 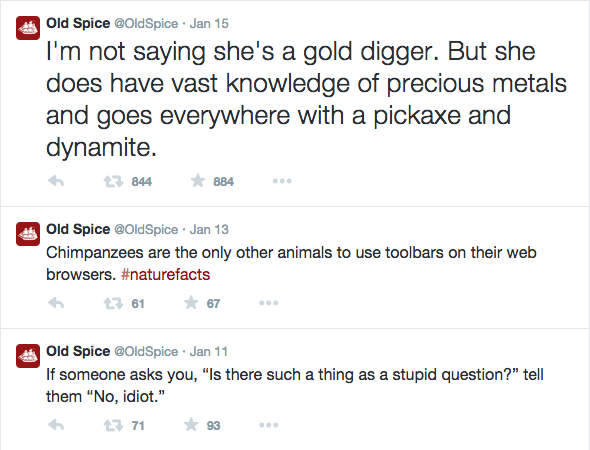 Visit the Old Spice Twitter account and you’ll find an example of a brand that is doing this right. Rather than fill up their page with sale pitches, Old Spice gives their audience exactly what they want to consume and share. Providing followers with humorous content they care about has helped Old Spice build an actively engaged following of over 220K users. Looping back to my original point of putting your audience first, identifying where your intended audience “hangs out” on social media is key in determining which social networks to focus your efforts on. Don’t spread yourself (or your brand) thin by trying to be on every social network – doing that would be a waste of time. Instead, choose to focus on the networks that apply most to your audience, and leave the rest alone. For example, if your content marketing involves a lot of visuals, Pinterest might be the best place to start. For B2B companies, focus your efforts on professional networking sites like LinkedIn and Twitter. As far as Facebook goes, if your customers are on the Internet, they’re likely to also be on Facebook, but you have to be ready to compete for space in the News Feed (it is the most popular social network in the world, after all). Just because you can “blast” content all over your brand’s social media channels doesn’t mean you should (actually, please don’t!). Instead, distribute your content thoughtfully and meaningfully by adapting it to each social network. Check out Home Depot on Facebook, Twitter, Pinterest and YouTube to see what it looks like when a brand does this well. 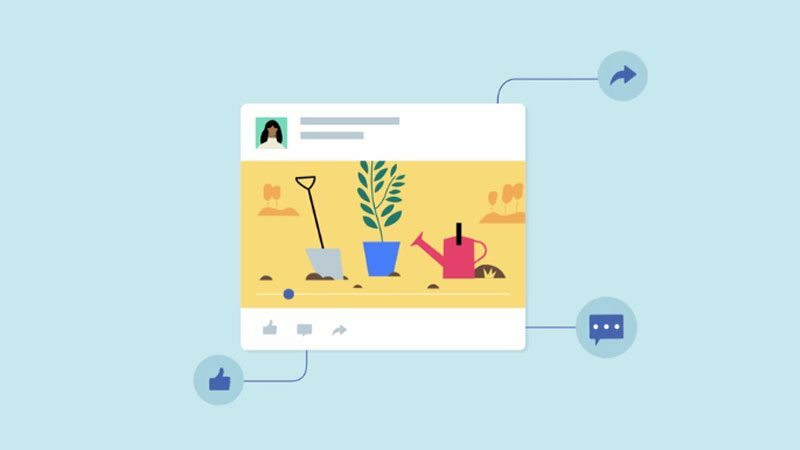 Across all their social channels, Home Depot consistently provides their audience of do-it-yourself-ers with information they’re looking for to inspire and complete home projects, all while maintaining diversity among their posts. They rarely share the same content on two channels at the same time, and if they do, the message is formatted in a way that is appropriate for the network. While it’s true that social media is an effective tool for distributing content, that doesn’t mean that you should treat it like a one-way street. Plain and simple, when a fan or follower comments on your posts, asks a question or shares their opinion with you, respond! Don’t let an invitation to engage with your audience go to waste. Even if their comment didn’t necessitate a direct answer, it’s still important to let them know you heard them. Doing so opens up the lines of communication between you and your audience and makes them an active part of your online brand story. 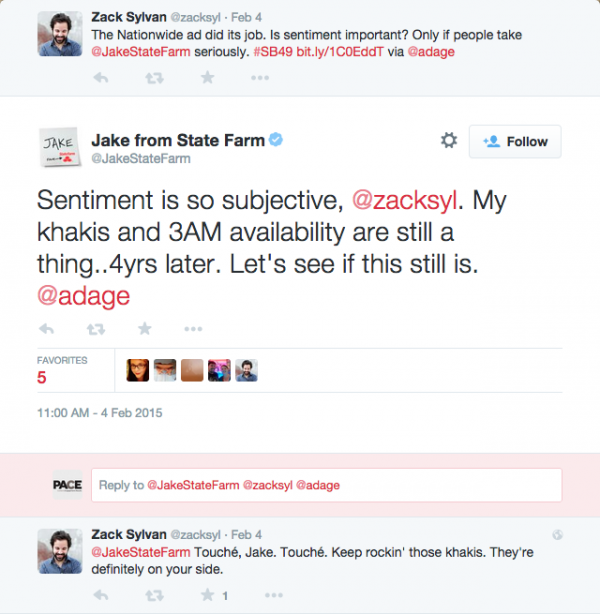 State Farm’s @jakestatefarm Twitter account is a great example of a brand that consistently engages with their followers and makes them an active part of their storyline. I personally have tweeted at @jakestatefarm several times (for absolutely no reason at all, other than to share my thoughts on khakis or something khaki-related), and each time they either replied to or retweeted my tweet. By maintaining an ongoing dialogue with their audience and frequently retweeting followers, State Farm has made @jakestatefarm’s audience an integral part of the Jake from State Farm storyline. And juuust when you thought you had your content and social media marketing strategy all figured out, guess what? You’re going to have to change it. How will you change it, you ask? By listening to your audience to find out what they want and what they aren’t getting – from your brand and other industry brands. You may get lucky and receive a direct question or comment from a follower asking for something specific, but since this doesn’t always happen, listening to your audience is key. Make it a point to stay up-to-date on trends and topics they discuss to identify new opportunities to provide them with valuable content. The week before this year’s Super Bowl, Go Daddy debuted their ad, which depicted the story of a lost puppy finding his way home and then being so heartlessly sold online. Needless to say, the backlash on social media was immediate, emotional and direct (seriously, what were they thinking?). In response to the negative feedback, Go Daddy pulled the ad from the Super Bowl ad lineup entirely. Changing their strategy to accommodate feedback from their fans and social media followers was a smart move (if not a forced one). If they didn’t pull the ad, who knows how much more damage they would have caused their brand. 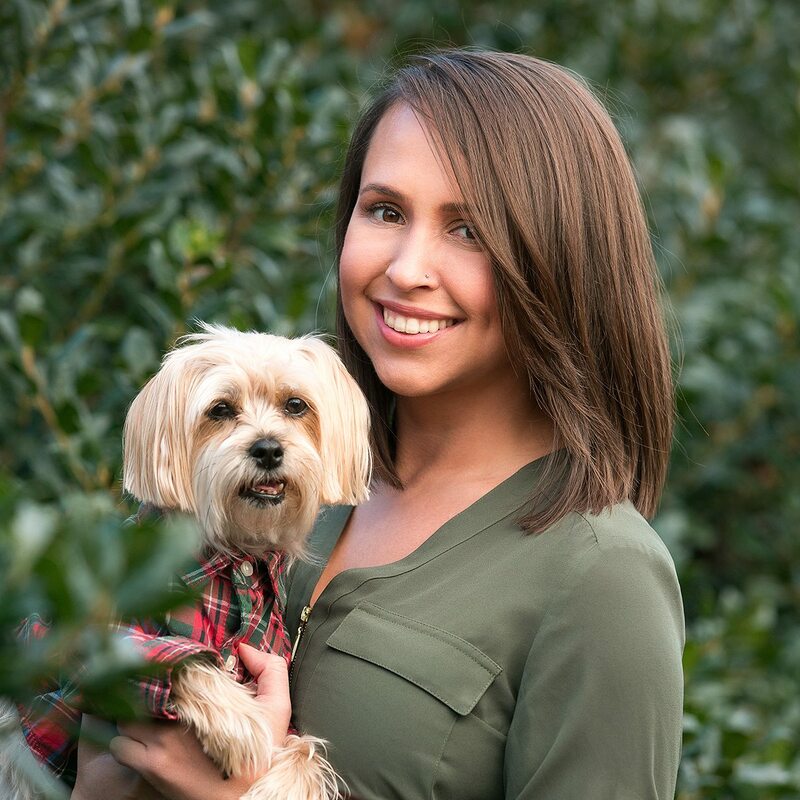 So, what’s next for me, the newest member of the Pace social media team? In the coming weeks I plan on revisiting the points made in this post and discussing each one in greater depth. So stay tuned – my next post isn’t far behind!